The WTI Crude Oil market continues to try to go higher during the trading session on Friday, but as you can see struggled a bit. The $68 level should continue to be an area of resistance, but I think if we can break above that level, I think that the market should then go to the $70 level. I believe that short-term pullbacks will be a buying opportunity, as the uptrend line has kept this market intact to the upside. I think that if we were to break down below the uptrend line, then of course things change. 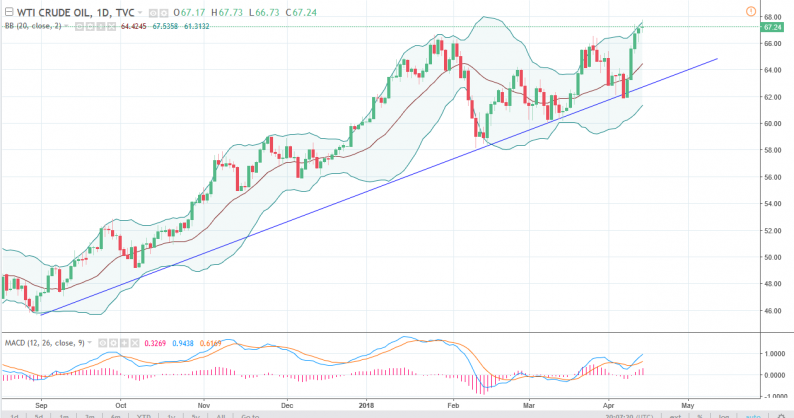 I believe that the market should have plenty of support at the $66 level, and if the US dollar can continue to struggle, that could also send this market higher. With tensions in the Middle East, it’s likely that oil will continue to have a bit of a bit underneath it. After a downgrade buy, the EIA, as far as production is concerned for 2018, natural gas price went up. We also had a bullish inventory number this week, so that has provided a little bit of a boost. However, I think there’s plenty of resistance above, especially near the $2.85 level, and of course the $3.80 level after that. 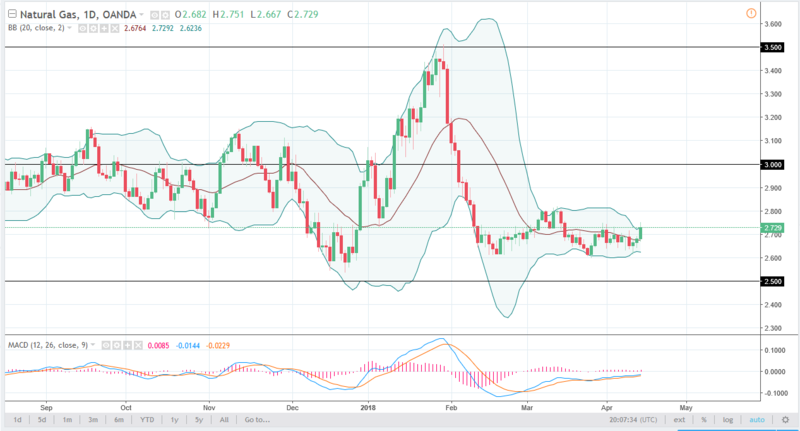 I’m looking for signs of exhaustion on a daily candle that I can start selling, with the $2.60 level being a target, and an area that begins a significant resistance down to the $2.50 level. If we were to break down below the $2.50 level, I think that the market could then breakdown significantly. Natural gas is a market that I sell only and have no interest whatsoever in buying as longer-term we still have major issues.